There is but one kind of love, but there are a thousand different copies of it. We often imitate the same person without perceiving it, and we neglect our own good qualities for the good qualities of others, which generally do not suit us. There is no disguise which can hide love for long where it exists, or feign it where it does not. No one has ever taken the trouble to stretch and carry his understanding as far as it could go. Eloquence resides as much in the tone of voice, in the eyes, and in the expression of the face, as in the choice of words. People by whom one must not be bored are almost always boring. In the misfortune of our best friends we often find something that is not displeasing. We should not speak of all subjects in one tone and in the same manner. We do not march at the head of a regiment as we walk on a promenade; and we should use the same style in which we should naturally speak of different things in the same way, with the same difference as we should walk, but always naturally, and as is suitable, either at the head of a regiment or on a promenade. 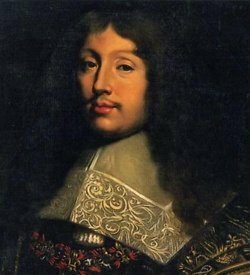 Bio: François VI, Duc de La Rochefoucauld, Prince de Marcillac was a noted French author of maxims and memoirs. It is said that his world-view was clear-eyed and urbane, and that he neither condemned human conduct nor sentimentally celebrated it.